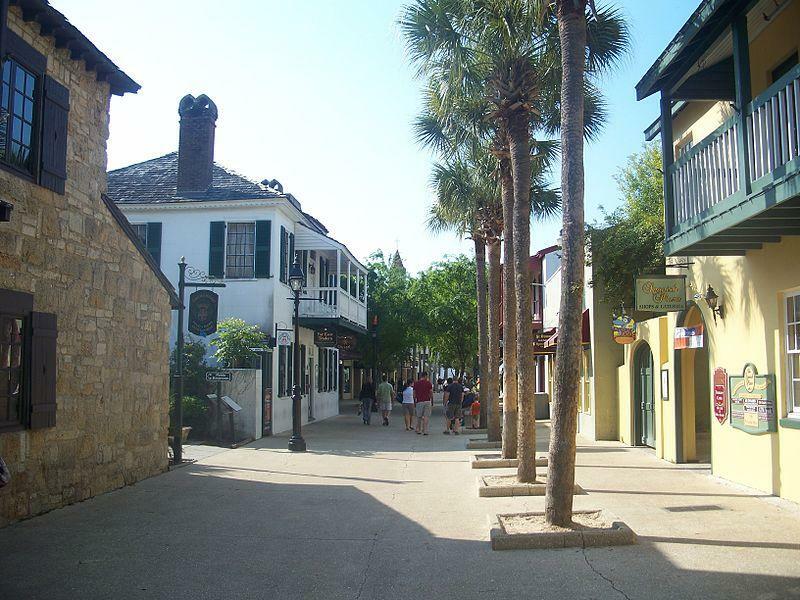 St. George Street in St. Augustine. Narrow streets and high congestion in St. Augustine’s historic district continue to contribute to tensions felt between street artists and the city, which wants to limit their performances. Four artists filed to sue the city in 2015 over a law limiting when and where they can perform. A six-month extension was granted in December, allowing mediation between the city and the buskers. If a settlement can’t be reached by the July deadline, the case will proceed to trial Jan. 2, 2018 in Jacksonville, according to the director of public affairs Paul Williamson. Last year, U.S. District Judge Brian Davis blocked the enforcement of many rules until the suit is resolved, as first reported by the St. Augustine Record. Restrictions on street performers and street vendors are due to congestion-related safety issues and small historic streets, according to city codes. The suit against this injunction said, “The city has incrementally cut back on the First Amendment rights of plaintiffs by implementing a series of new ordinances.” The suit says the ban extends from the four block area of St. George Street to four additional streets, as well as two public parks near the downtown area. Brooke Ashley is a poet from Melbourne Beach who thinks the laws are unfair. While she isn’t one of the four artists suing the city, she’s planning the second of two protests against the injunction. “I feel that this is going to help the artists in their court. We protested just over two years ago and even the mayor was there,” Ashley said. The “paint-in” protest will be in April on St. George Street and the adjoining park. Ashley said visual artists are encouraged to paint or draw, but warns they could still face criminal charges, including a $500 fine and up to 60 days in prison. Others who want to protest can simply put up a blank canvas and easel as an artless protest, but could face intentionally impeding traffic charges, according to the protest event page. Ashley said at least 200 people showed up to the first protest “Art is Not a Crime..” She said the law goes beyond just performing artists who paint. Photo: "St Aug St George south05" by Ebyabe used under the Creative Commons license. Intern Serena Summerfield can be reached at 904.358.6317, newsteam@wjct.org, or Twitter @sumserfield.